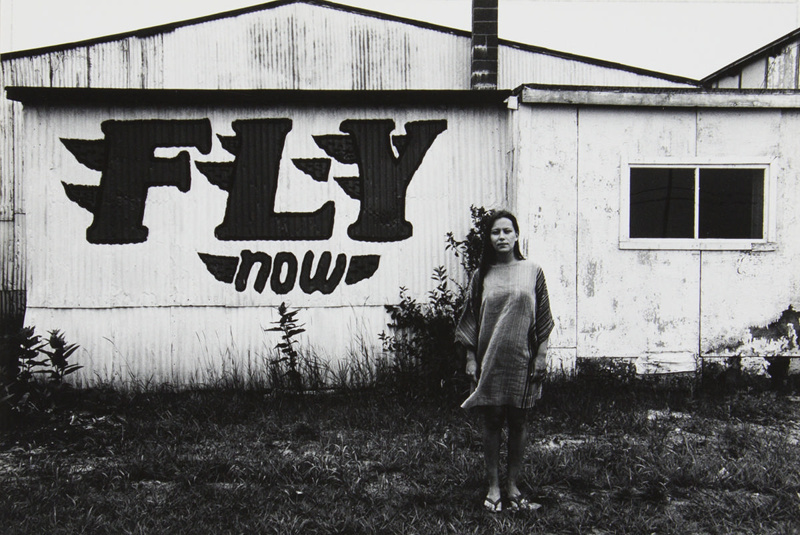 About this objectWoman standing in front of a weathered building with “Fly Now” painted on the side. The woman is most likely photographer Alice Wells. The location of the photograph is Plum Island, Massachusetts.